Showcasing rare works by female filmmakers who carved out a place within the male-dominated world of Latin American independent film, this program includes Uruguayan filmmaker Lydia García Millán’s Color (1955), one of the first abstract experimental films from Latin America; Narcisa Hirsch’s Workshop (1975); the politically charged Super 8 experiments by Puerto Rican underground artist Poli Marichal; and recent video essays by Mexican artist Ximena Cuevas. Curated by Ángela López Ruiz. Umbrales. Marie Louise Alemann, Argentina, 1980 19 mins, color, Super 8, transferred to digital. Color. Lydia Garcia, Uruguay, 1955, 3 mins, color, 16mm. Tango: el Narrador. Luz Zorraquín, Argentina, 1991, 7 mins, video. Desnudo con alcatraces. Silvia Gruner, Mexico, 1986, 1:50 mins, B&W, Super 8, transferred to digital. Taller. Narcisa Hirsch, Argentina, 1976/1977, 10 mins, color, Super 8, transferred to digital. Devil in the Flesh/Diablo en la piel. Ximena Cuevas, Mexico, 1998, 5 mins, Color, video. Popsicles. 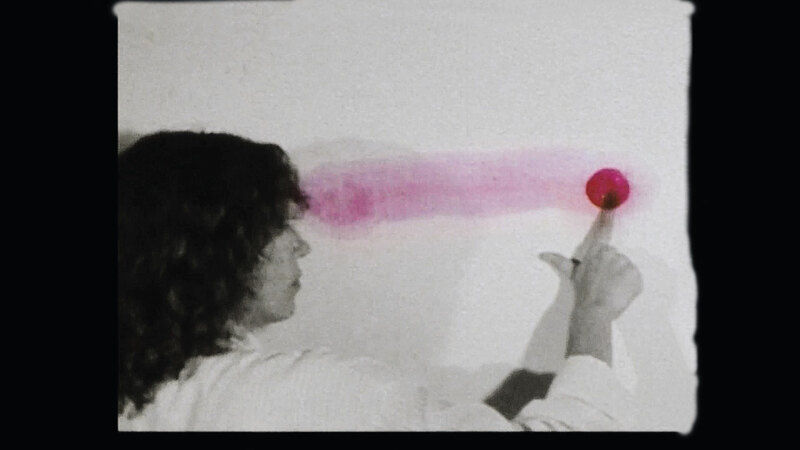 Gloria Camiruaga, US/Chile, 1982–84, 4:42 mins, color, video. Blues Tropical & Paisaje. Poli Marichal, Puerto Rico, 1982-1985, 6:49 mins, Color, Super 8, transferred to digital. Paracas. Cecilia Vicuña, US/Chile, 1983, 18:31 mins, color, 16mm, transferred to digital. Copacabana Beach. 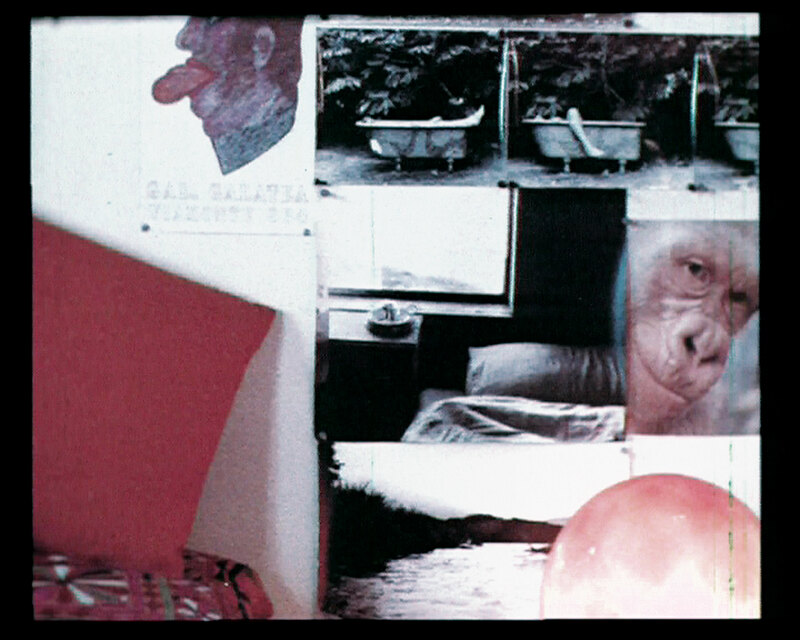 Vivian Ostrovsky, US/Brasil, 1983, 10:08 mins, Color, Super 8, transferred to digital. Ángela López Ruiz is a visual artist, curator, and researcher from Montevideo, Uruguay. She has a degree in visual arts from the Universidad de la República (Uruguay) where she is currently finishing her Masters in Latin America Studies. She is part of the curatorial team of Ism, Ism, Ism: Experimental Cinema in Latin America, and contributed a chapter on the silenced protagonism of women filmmakers in the history of Latin America experimental cinema. She works as advisor on the Film Laboratory of the Contemporary Art Foundation and member of this artists' collective based in Montevideo since 1999. Her research about experimental cinema, performance, and video art had been exposed in 29º San Pablo Biennal (Brasil), Ambulante (México), Paralelo/Manifesta8 (España), Cine a Contracorriente (Barcelona), 30º San Pablo Biennal (Brasil), Filmmakers Coop (NY), PhD in Practice (A.K, Viena), San Francisco Cinematheque (SFO), Union Docs (NY), SCCA-Lubljana (Slovenia), and more. She is a guest professor in the postgraduate program of EICTV-Cuba. Jueves 30 de noviembre a las 7:30 p. m.
Este programa, que resalta trabajos excepcionales de realizadoras cinematográficas que lograron insertarse en la esfera del cine latinoamericano independiente dominada por hombres, incluye Color (1955), de la realizadora uruguaya Lydia García Millán, una de las primeras películas experimentales abstractas de Latinoamérica; Workshop (1975), de Narcisa Hirsch; experimentos políticamente cargados en Súper 8 de la artista portorriqueña underground Poli Marichal; y ensayos recientes en video de la artista mexicana Ximena Cuevas. Curado por Ángela López Ruiz. This program is part of the Los Angeles Filmforum film series Ism Ism Ism: Experimental Cinema in Latin America, part of Pacific Standard Time: LA/LA. Major support is provided through grants from the Getty Foundation. Additional support provided by the Andy Warhol Foundation for the Visual Arts and the National Endowment for the Arts. Este programa forma parte de la serie cinematográfica de Los Angeles Filmforum lsm lsm lsm: Experimental Cinema in Latin America, presentado dentro del marco de Pacific Standard Time: LA/LA. La Getty Foundation proporciona un importante apoyo financiero, y se recibió apoyo adicional de la Andy Warhol Foundation for the Visual Arts y el National Endowment for the Arts.